Fierce competition requires quick responses to evolving and changing marketplace trends. In collaboration with the customer and technology representatives, the project manager completes the initial planning while the business analyst defines and prioritizes the solution features. 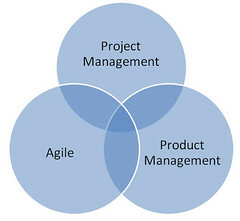 Agile project teams collaborate on the design, development, testing and reworking of each incremental build. It is this constant collaboration with the customer and with each other that promotes project success. Bottom line: With agile development companies can better address the pressures of unprecedented marketplace changes, global competition, time-to-market demands, evolving technologies and the rapidly changing needs of customers. 1.Customer Feedback Management: Through the customer portal, customer feedback is collected, elaborated upon and transformed to provide your organization with actionable insight that can be used to enhance product development. The customer portal provides customers with a platform to share and exchange ideas, and engage in a continuous dialogue with product management. This medium for customer-to-business exchange is a powerful tool for increasing customer involvement and decreasing product development time and costs. 2. Requirements Management and Prioritization: The biggest challenges in product development are unclear requirements and customer involvement. OneDesk lets you easily manage your product and service requirements. The comprehensive project management and collaboration application helps Project Managers and their teams to adopt an agile product development approach. Teams can easily manage and prioritize the requirements that are most relevant to business goals and assign them to critical tasks. 3. Collaborative Development: Agile product development relies on collaboration from all team members to deliver results, quickly capture and manage feedback, and implement learning on the next product iteration. OneDesk’s social collaboration tools facilitate this process by increasing communication with business partners, customers and employees. OneDesk has the right tool set for your agile development and product management needs; you can ensure all stakeholders are on the same page and more importantly your team is able to adapt quickly to changing industry, market and customer demands. Find out more (here).